Delivering professional classic car care to an ever more sophisticated and demanding market, we can provide a full package of care for cherished cars, from minor servicing to full restoration. We service, recommission and rebuild classic and cherished cars to the highest standards. 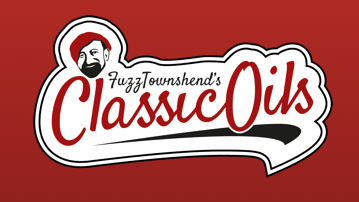 Our team greatest desire is to bring your classic motor vehicle back to life and health, whether it be a simple, basic lubrication service, through to a complete, managed restoration plan. We aren’t the cheapest per-hour, but we pride ourselves on realistic timescales for work commissioned. As an example, we would expect to charge out approximately 4 hours for a head gasket change and basic head clean up and check on an everyday 1950s to 1970s classic car. If your project is set to be a long affair, hours-wise, we’re happy to negotiate. Whether you’re an oily rag, smart-casual, or shine fanatic, we’re the guys you should talk to first. Tea, coffee and, if you’re lucky, perhaps a biscuit, if you want to come around for a chat about your car. We would also like to thank these suppliers for their support and recommend them to you for all your classic car’s requirements. lovely evening, with a lovely crowd at open evening. libby, Dave and Fuzz making everyone happy and at ease, talking......CARS! "THANK YOU" to everyone at To-Ta Classics Ltd & "Car SOS" for a great day out and especially for your very warm welcome ! I'm really pleased for you, in that the event was well attended by both People and Vehicles and the nice weather certainly helped to make it the success i'm 100% sure it was ! Please all keep up your good work, as you really have got a great team of workers there !!!! ("The Best" !). fantastic to finally get to catch up with you Fuzz it's been too long mate ! Great people great cars good team very hospitable had a great evening? Cracking evening and great to meet the team, Keep up the good work ! Awesome evening, friendly approachable people, great selection of cars to look at. Amazing to meet the team behind the show. Was worth the 2 1/2 hour drive through rain and traffic but she made it. Awesome night, great cars and great people..
Great bunch of guys, who really know their stuff. Top job every time. An amazing workshop with a very dedicated and knowledgeable team! Thanks a lot for a great evening Dave! It was bostin! It was a great morning, fantastic to meet up with the tv stars, Fuzz, Tim and the team. Great atmosphere and some great cars, hope it's a regular thing😎🚙. Rod & Olive. Great place, new equipment and friendly knowledgeable staff! Some great work done on my car with a great attention to detail with excellent communication and advise throughout the process. Thank you to all involved at To-Ta.